Think like a makeup artist... mix your colors! Start with rms beauty’s Master Mixer to create new exciting colors and add life to products you already own. Double your makeup palette. 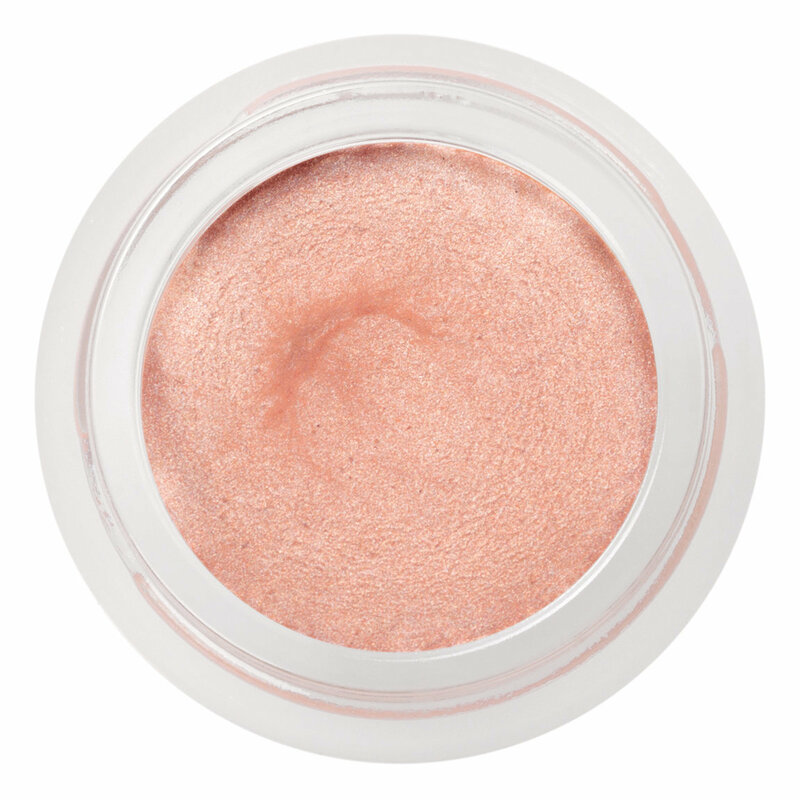 This universally flattering rose gold shade can be worn on its own as a multipurpose highlighter, eye shadow or lip shimmer. Try mixing it with your favorite rms beauty Lip2Cheek, Eye Polish, or Lip Shine for added gold and pink highlights to create gorgeous new shades. Watch as Rose-Marie Swift, founder of rms beauty, shows you all the ways she loves to use her Master Mixer to great a beautiful, glowing look. All the reviews I've read for the Master Mixer have been overwhelmingly positive, but I'm sad to say this was a miss for me. 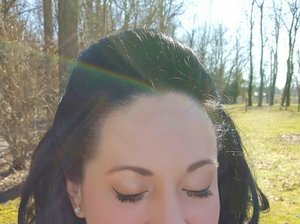 I wanted to love it because I am a faithful user of RMS - their UnCover Up and Living Luminizer are a part of my daily makeup routine and have been for years. The color of this was absolutely gorgeous; however I found the consistency to be much too greasy for my liking. I tried it on different areas of my face,mixing it with products or wearing alone, but I felt it just kept making my skin appear oily. I may give it another try once my Living Luminizer runs out, but overall I am a much bigger fan of the formulation of the LL. Lots of love to RMS and I hope others have luck with this product! OH MY...the minute I put this on my face, I immediately looked better, like my skin was lit from within and healthier. It is such a beautiful warm rose gold color that in my opinion would perk up any skin tone from the very fair to the very dark. I like to use it as a highlight on the high points of my face, but it can also be mixed into foundation as well. It is different from the RMS living luminizer, another favorite of mine, which is a more white pearlescent almost shiny glow. I would say that this gives more of an ethereal radiance to the skin that is very believable in natural light. This is well on its way to being a cult favorite, just like the living luminizer is! I was very disappointed in this product. For the price it dose not do what the picture shows. The color is more tan not pink and it is not that pretty pink shown by the person putting it on the model. Maybe the blue hairs makes it appear pink. It dose the same thing as a less expensive product, provides shine. Slightly oily, but a beautiful, subtle glow. Easy to blend and apply. I love this brand and this color is gorgeous for a light makeup day. Unfortunately, with my light olive skin you can't tell im wearing it. It also creases horribly on my eyes. The multi-purpose master mixer is an amazing product! I love how I can use it as a highlight on my cheekbones, as an eyeshadow or base on my eyelids, or as a shimmer on my lips. The rose gold shade is super flattering, particularly on my tan skin! It has a pretty, subtle shimmer. Though the mixer seems to have a slightly tight consistency in its packaging, it is still very spreadable and blendable. I tried wearing it under the rms cream shadow (shade seduce) and the result was stunning; the mixer provided a beautiful dewy glow! I have this and the Living Luminizer. I have tan skin (NC 35) and the warm rose gold is a better match for me. I use them interchangeably as a highlighter but prefer this one. Works well, but not my favourite (Benefit Watt's Up). I feel it is at the mercy of the climate- e.g. soft/greasy in the summer and cold/unyielding in winter - to be fair it is kept in a room that has large windows and no climate control. i like it, I'm not crazy about the packaging but i like that the brand is all natural and this is a good everyday gentle lightweight highlighter that looks really pretty on the skin. I have light to medium skin with warm undertones so I wanted to try this warm rose gold for highlighting and I really like the look I get with it. I'm in my late 40's and the lighter highlighters can be too much highlight for me. I just want a soft glow. I use my fingers and put this on all the usual highlight places over my foundation and under my powder. I was happily surprised to see it still came through the powder. It gave me the glow that I was looking for.